Mark Chalmers travels to redundant churches investigating what these evocative buildings have to say about life on Britain’s rural fringe. While some have been reinvigorated many remain on the endangered list, placing these buildings at the heart of debate around life and death once more. The poet Phillip Larkin took life and death as his great themes – particularly death. Larkin, like his fellow poet John Betjeman, cycled around the countryside visiting provincial churches to savour their atmosphere and compose poetry in their graveyards. In his poems The Whitsun Weddings and An Arundel Tomb, Larkin explores how spirituality and mortality touch everyday life. Perhaps his most evocative piece is Church Going, which captures the slow retreat of organised religion. That trend began decades ago and accelerated during the 1960’s and ‘70’s. Dwindling congregations lead to empty churches, some of which fall into ruin and eventually become nothing more than a pile of stones with a spiritual aftertaste. A study of churches in Scotland found that over 1,000 became redundant during the period 1946 to 1984, and more than half of those were eventually demolished. The majority belonged to the Kirk of Scotland, and research commissioned by the former Historic Environment Advisory Council for Scotland (HEACS) found that since then, the Kirk has disposed of roughly one church each month. Similarly, the United Free Church made 34 churches redundant between 1945 and 1987, and the Roman Catholic Church in Scotland demolished or sold 81 churches between 1949 and 1989. It’s a long time since those numbers increased. Church construction went through a boom after the Reformation in the 16th century, another after the Great Disruption in 1843, with a smaller peak after World War Two during which war damage was made good in towns from Coventry to Clydebank. Since then, religion’s retreat means that more church buildings are now used for other purposes than remain as places of worship. Those most likely to be saved are larger churches in cities which lend themselves to becoming pubs, nightclubs and music venues. Perhaps the best known conversion is the performance space at Òran Mór in Glasgow, then you also have The Church recording studio in Crouch End, where the Eurythmics recorded “Sweet Dreams”, and which later hosted Curve, Radiohead and Depeche Mode. 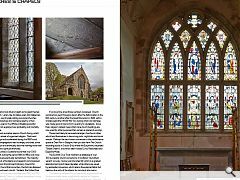 The Scottish Civic Trust maintains a database of over 300 successful church conversions in Scotland – but others weren’t so lucky. Some rural churches fall victim to a gradual abandonment which takes decades, while others are saved by residential conversion which retains the external fabric but destroys the unity of the interior by carving it into rooms. That balance, between the architecturally appropriate and the economically viable, is particularly relevant to Category A-listed churches such as St Margaret’s in Braemar. Although the Kirk of Scotland has the largest built heritage estate in Scotland – with more buildings in its care than Historic Environment Scotland and the National Trust for Scotland combined – this particular building belonged to the Scottish Episcopal Church. St Margaret’s Church was designed by Ninian Comper to house a visiting congregation who holidayed on Royal Deeside. Work began in 1899, and the church was consecrated in 1907 – but stained glass and furnishings designed by Comper continued being added until the 1930’s. In that respect, St Margaret’s is like the Sagrada Familia: still unfinished a century later. Ninian Comper was one of the rare 20th century architects who specialised in ecclesiastical buildings almost to the exclusion of everything else. In those days, ecclesiastical architecture could still make a career, but Gillespie, Kidd & Coia were effectively the last practice in Scotland to enjoy ongoing patronage from a Church. In some respects, the recent history of St Margaret’s is symptomatic. A declining congregation and the cost of maintaining the fabric led to periodic closures of the church. Hard work during the 1980’s saw St Margaret’s reopen and major repairs were carried out during the 1990’s, but ultimately that effort was in vain. 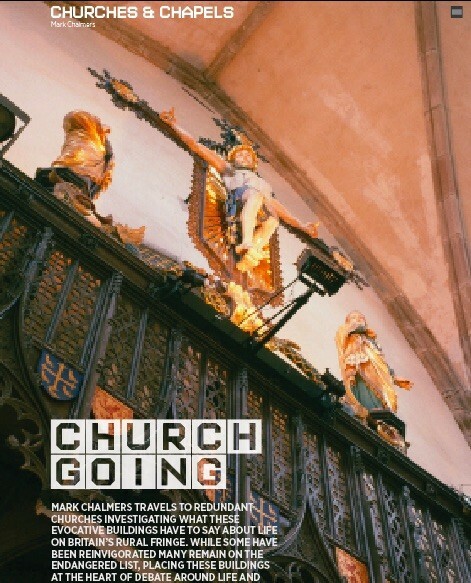 In 1997 the congregation left St Margaret’s for good and the Scottish Episcopal Church began working with the Scottish Redundant Churches Trust (SRCT) to find a new use for the building. At first they had little success, and St Margaret’s was placed on the Buildings at Risk Register. Its future appeared bleak: decay is relentless. 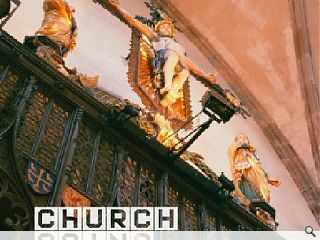 The SRCT was established two decades ago with the aim of saving important churches threatened by closure and disuse. It provides a safety net for those with important interiors, decoration and furnishings – which often make them unsuitable for conversion to other uses. 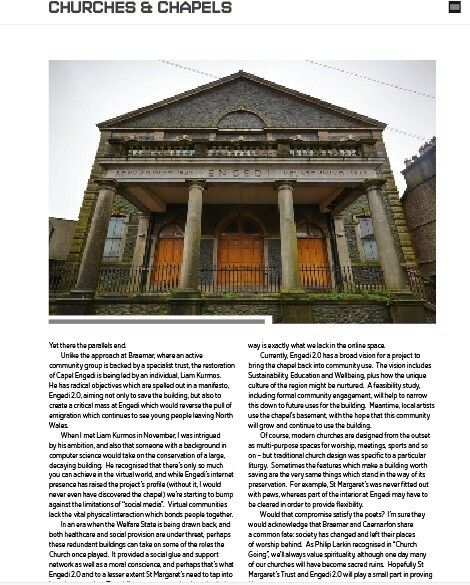 In 2011, SRCT began working with locals in Braemar to offer St Margaret’s new life as an arts and heritage venue, and a feasibility study was commissioned from the architects Simpson & Brown. The church is well-suited as a performance space: it has good acoustics and the Trust have since put on regular concerts and exhibitions. Having proved its potential, SRCT bought the church for a token sum in 2013 and work in partnership with what has become the St Margaret’s Trust. Eventually they hope to extend St Margaret’s; meantime emergency repairs have been carried out. Speaking to Victoria Collison-Owen of the SRCT, fundraising is at a critical point. Fresh funding could save the building, but missing out may mean it falls into terminal decline. 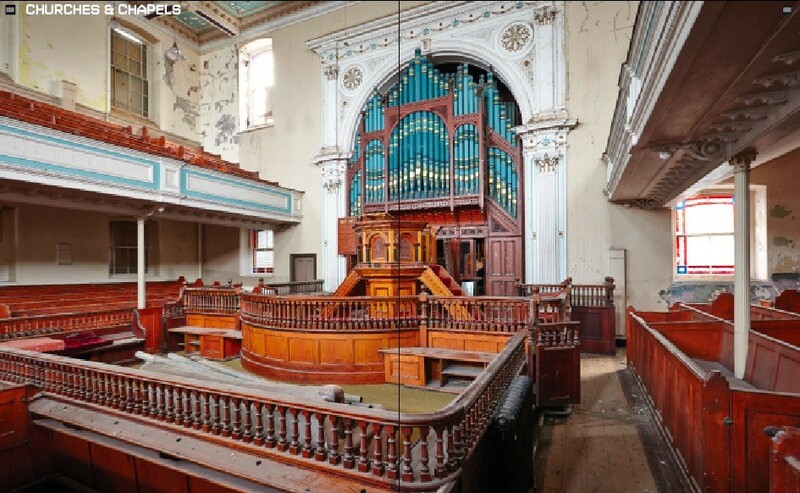 Arguably, St Margaret’s has followed a conventional path, seeking grants from Historic Environment Scotland (HES) and the Heritage Lottery Fund (HLF), attempting to match those with charitable donations, and putting on concerts and exhibitions to prove the building’s viability as a venue. 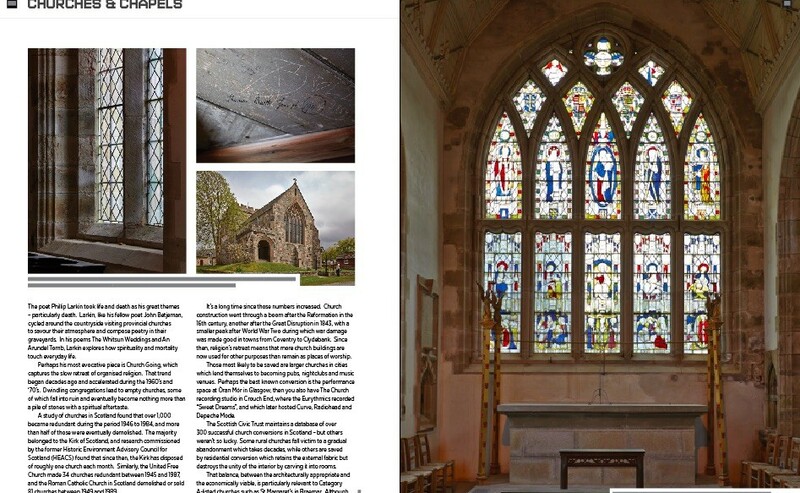 While Government grants for building conservation have been available for decades, the proportion awarded for church fabric repairs has declined in recent years as the HLF’s Places of Worship scheme has been reorganised. The SRCT currently has seven churches on its books, although similar organisations south of the border have a wider scope. The Churches Conservation Trust has 340 churches in its care across England, including Quay Place in Ipswich which has become a Centre for Wellbeing for a mental health charity. 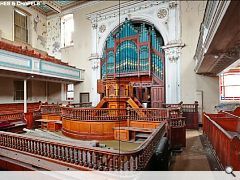 The Historic Chapels Trust has saved 24 Nonconformist and Roman Catholic churches, and the Friends of Friendless Churches have saved over 100 churches and chapels, sixteen of which are in Wales. As it happens, Welsh chapels provide an interesting contrast to the picture in Scotland. I believed I knew what to expect when I arrived in Caernarfon, but a former Methodist chapel near the harbour holds a secret behind its austere frontage. Capel Engedi sits off a narrow lane, with an oblique glance down to the Menai Strait and seagulls wheeling overhead. It was designed by architect Richard Owen of Liverpool and opened in 1867. The chapel has been shuttered since 1999, when the last service took place. Having visited lots of abandoned churches, I expected broken windows, dry rot and pigeons – but when I pushed the porch doors aside, they revealed a perfect “shoebox” auditorium lined with clerestorey windows. A richly-carved timber pulpit sits in front of an ornate pipe organ, and over them both spans a coffered ceiling painted in turquoise and gilt. As I stood there, sunlight spilled into the chapel and brought the colours to life. Engedi has an interesting creation story. The congregation had close links to the Welsh emigrants who colonised Patagonia: they were part of the diaspora at the tip of South America which Bruce Chatwin wrote about in his travelogue, In Patagonia. 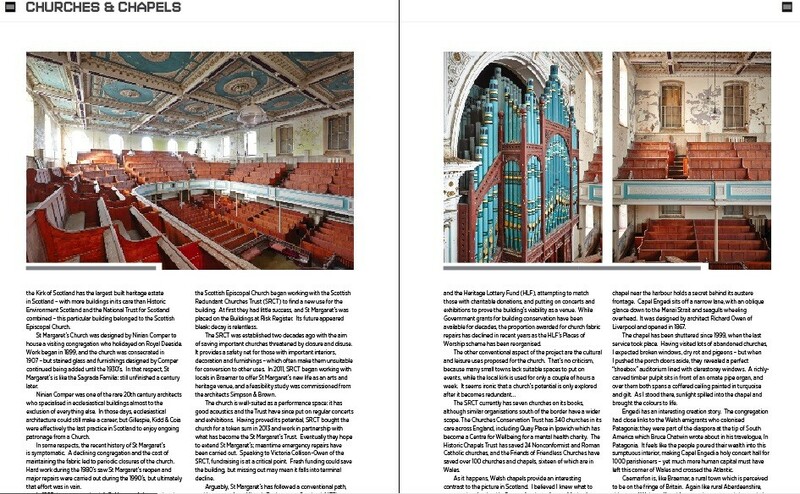 It feels like the people poured their wealth into this sumptuous interior, making Capel Engedi a holy concert hall for 1000 parishioners – yet much more human capital must have left this corner of Wales and crossed the Atlantic. Caernarfon is, like Braemar, a rural town which is perceived to be on the fringe of Britain. Again like rural Aberdeenshire, this part of Wales suffered from rural poverty and depopulation. Yet there the parallels end. Unlike the approach at Braemar, where an active community group is backed by a specialist trust, the restoration of Capel Engedi is being led by an individual, Liam Kurmos. He has radical objectives which are spelled out in a manifesto, Engedi 2.0, aiming not only to save the building, but also to create a critical mass at Engedi which would reverse the pull of emigration which continues to see young people leaving North Wales. When I met Liam Kurmos in November, I was intrigued by his ambition, and also that someone with a background in computer science would take on the conservation of a large, decaying building. He recognised that there’s only so much you can achieve in the virtual world, and while Engedi’s internet presence has raised the project’s profile (without it, I would never even have discovered the chapel) we’re starting to bump against the limitations of “social media”. Virtual communities lack the vital physical interaction which bonds people together. In an era when the Welfare State is being drawn back, and both healthcare and social provision are under threat, perhaps these redundant buildings can take on some of the roles the Church once played. It provided a social glue and support network as well as a moral conscience, and perhaps that’s what Engedi 2.0 and to a lesser extent St Margaret’s need to tap into in order to survive. The ability to come together in a physical way is exactly what we lack in the online space. Currently, Engedi 2.0 has a broad vision for a project to bring the chapel back into community use. The vision includes Sustainability, Education and Wellbeing, plus how the unique culture of the region might be nurtured. A feasibility study, including formal community engagement, will help to narrow this down to future uses for the building. Meantime, local artists use the chapel’s basement, with the hope that this community will grow and continue to use the building. 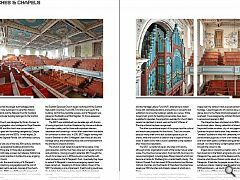 Of course, modern churches are designed from the outset as multi-purpose spaces for worship, meetings, sports and so on – but traditional church design was specific to a particular liturgy. Sometimes the features which make a building worth saving are the very same things which stand in the way of its preservation. For example, St Margaret’s was never fitted out with pews, whereas part of the interior at Engedi may have to be cleared in order to provide flexibility. Would that compromise satisfy the poets? I’m sure they would acknowledge that Braemar and Caernarfon share a common fate: society has changed and left their places of worship behind. As Philip Larkin recognised in “Church Going”, we’ll always value spirituality, although one day many of our churches will have become sacred ruins. Hopefully St Margaret’s Trust and Engedi 2.0 will play a small part in proving him wrong.